Take Advantage Of Our Email Marketing! In today’s show host Steve Kashul is joined by NBA and NBC sports analyst Will Purdue, Hall of Fame writer from Bulls.com Sam Smith, Chuck Swirsky talks with Notre Dame men’s basketball coach Mike Brey, and sports play by play announcer Kevin Harlan. In today’s show host Steve Kashul is joined by NBA World Champion Horace Grant, NBA and NBC sports analyst Will Purdue, Hall of Fame writer from Bulls.com Sam Smith, sports analyst Nick Friedel, and Senior NBA writer from NBA.com Steve Ashburner. This week, bulls.com writer Sam Smith, NBA.com senior writer Steve Ashburner, NBC Sports Chicago analyst Will Purdue and Bulls Executive Vice President of Basketball Operations John Paxson all join the program. This week, Steve has a talk with NBC Chicago writer Nick Freidel, Bulls/Sox Youth Academy President Mike Huff, Windy City Bulls President Brad Seymour and United Center Director of Retail Operations Craig Geffrey. Additionally, Chuck Swirsky sits down with NBA Scout Joey Meyer. On the program this week, Steve chats with bulls.com writer Sam Smith and NBA.com senior writer Steve Aschburner. Chuck Swirsky has a talk with ESPN/ABC announcer Mike Breen and former NBA great Walt Frazier. 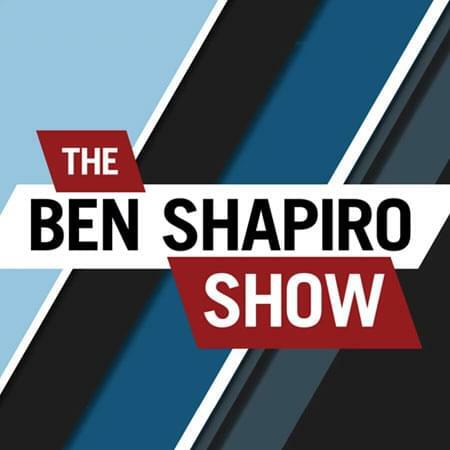 This week on the show features chats with four-time NBA champion Horace Grant, Bulls President of Basketball Operations John Paxton, assistant coach for the Bulls Randy Brown, Niko Mirotic, and Executive Director of the University of Chicago Crime Lab Rossana Ander. Four time NBA World Champion Will Purdue joins Steve Kashul to talk about his thoughts on the 2017-2018 Chicago Bulls and what next season could hold for the team. Chuck Swirsky talks to Notre Dame men’s basketball coach Mike Brey. 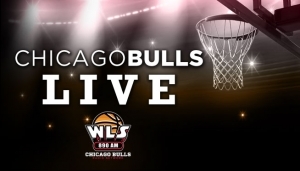 Veteran sports reporter Cheryl Raye Stout and Chicago Bulls Director of Player Development Shawn Respert also join this episode of Chicago Bulls Live. Six time NBA World Champion Scottie Pippen joins Steve Kashul to voice his thoughts on the current state of the Bulls. Windy City Bulls president Brad Seymour joins the show to talk about the fun and family friendly events planned for the Windy City Bulls. Also in today’s show NBA.com senior columnist Steve Ashburner and Hall of Fame writer Sam Smith join host Steve Kashul. Steve chats this week with Bulls play-by-play man Bill Wennington, Bulls TV Executive Producer Brad Seigal, Windy City Bulls Manager of Basketball Operations Jeff Field. Also, Chuck Swirsky joins the show for a talk with Horace Grant and NBA Commissioner Adam Silver. Author Sam Smith joins Steve Kashul to talk about his new book Hard Labor: The Battle That Birthed the Billion-Dollar NBA. Windy City Bulls president Brad Seymour joins the show to talk about the upcoming 2017-2018 season. Larry Stewart, General Manager of Basketball at the Bulls / Sox Youth Academy talks to Steve about upcoming opportunities Chicago’s at risk youth and Lt. Col. Michael James Willen joins the show to talk about special tickets for those who are serving and who have served ahead of Veteran’s Day. Chicago Bulls LIVE – 10/29/2017 – Host: Steve Kashul. Chuck Swirsky talkst with former NBA referee, Danny Crawford and backup Point Guard, Kay Felder. He also have a few minutes with Bulls guard, Zach Lavine. Steve Kashul talks to Tony Parker Sr. & Bulls General Manager, Gar Forman. Chicago Bulls LIVE – 10/21/2017 – Host, Steve Kashul talks to Sam Smith, writer for Bulls.com and Lisa Nucci, Director of Marketing for the Chicago Bulls. Chuck Swirsky talks to Chicago Bulls Owner, Jerry Reinsdorf and Toronto Raptors broadcaster, Jack Armstrong. Chicago Bulls Live – 10/14/2017 – John Paxson, Bobby Portis, Doris Burke, Fred Hoiberg, Robin Lopez, and Zach Lavine join Steve Kashul on the very first ‘Chicago Bulls Live’ for the 2017-2018 season. John Paxson, Bobby Portis, Doris Burke, Fred Hoiberg, Robin Lopez, and Zach Lavine join Steve Kashul on the very first ‘Chicago Bulls Live’ for the 2017-2018 season. Steve Kashul tips off the show by interviewing former Chicago Bull and Current radio play by play announcer for The Bulls, Chuck Swirsky. Chuck then sits down with long time Bulls Official Scorer, Bob Rosenberg. Chuck also talks with Jeff Zillgitt, Basketball Writer for USA Today. Chuck wraps up the show by talking with NBA Veteran, and current Bull, Anthony Morrow. Steve Kashul talks with former Chicago Bull, and current Bulls Ambassador Toni Kukoc, Chuck Swirsky talks to Director of USA Basketball and Chairman of the Basketball Hall of Fame, Jerry Colangelo, Executive Producer of Bulls Basketball on WLS-AM Dave Zaslowsky sits down with Bulls Pre and Post Game Analyst for WLS-AM Steve Kashul. Steve Kashul is joined by Vice President of Basketball Operations for the Bulls, John Paxson, Hall of Fame Writer Sam Smith, Bulls Assistant Coach Randy Brown, Chairman and Owner of the Chicago Bulls, Jerry Reinsdorf, and General Manager of the Bulls Gar Forman to recognize and reflect on the life and legacy of former Bulls General Manager Jerry Krause. Steve Kashul talks with Larry Stewart, General Manager of Basketball Operations with the Bulls/Sox Youth Academy. Chuck Swirsky talks to TNT Broadcaster Kevin Harlin. Chuck also talks with Jeff Zillgitt Basketball Writer for USA Today. Brad Seymour, President of the Windy City Bulls, checks in with Steve about the Bulls’ inaugural season. Jeff Feld, Manager of Basketball Operations for the Windy City Bulls talks to Steve Kashul about the teams season, and specifically about Denzel Valentine currently playing in his rookie season for the Chicago Bulls. Steve also gets the view of the Bulls this season from team General Manager, Gar Foreman. Then, Chuck Swirsky sits down with Doris Burke, Doris Burke – sideline reporter and color analyst for NBA on ESPN and NBA on ABC games.